Spine & Orthopedic Surgical Institute • Dedicated to Your Care. Our purpose at Spine & Orthopedic Surgical Institute is to improve the quality of life for each patient through individual consultations and targeted treatment plans by utilizing an integrated and comprehensive approach toward the management of neurosurgical and orthopedic conditions. Here at SOS Institute, we know that pain and suffering can change one’s outlook on life, and we strive to make life return to normalcy with relieving chronic pain. 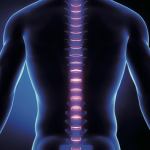 Here at SOSI, you will be seen by board-certified orthopedic spine surgeons and neurosurgeons. At the Spine & Orthopedic Surgical Institute, we are committed to providing our patients with the highest quality care of your spinal and extremity disorders. Additionally, we specialize in minimally invasive procedures allowing faster healing time, less tissue trauma, and decreasing the risks with traditional surgery. We treat all extremity injuries including the shoulder, elbow, wrist, hand, hip, knee, ankle, and foot. Injuries resulting from contact sports, work related injuries, and personal injury are all treated here at SOS Institute. We believe that patients benefit from a conservative (non-surgical), multidisciplinary approached plan of treatment. The options include pain management, spinal injections, and if necessary, minimally invasive surgeries such as microdiscectomies, spinal fusions, and arthroscopic procedures. Our focus is on addressing total patient care by guiding our patients through the process of diagnosis, treatment, recovery, and re-injury prevention. We look forward to assisting you in your first steps towards a better life. Call for an appointment today and start living pain free. 521 N. Sam Houston Pkwy E.
Our purpose at Spine and Orthopedic Surgical Institute is to improve the quality of life for each patient through individual consultations and targeted treatment plans by utilizing an integrated and comprehensive approach toward the management of neurosurgical and orthopedic conditions.